As making deliveries becomes a sharp focus of activity among e-commerce companies, Google is expanding its Google Express service to other markets, including Seattle. Google is bringing its e-commerce game to Amazon.com’s own backyard. 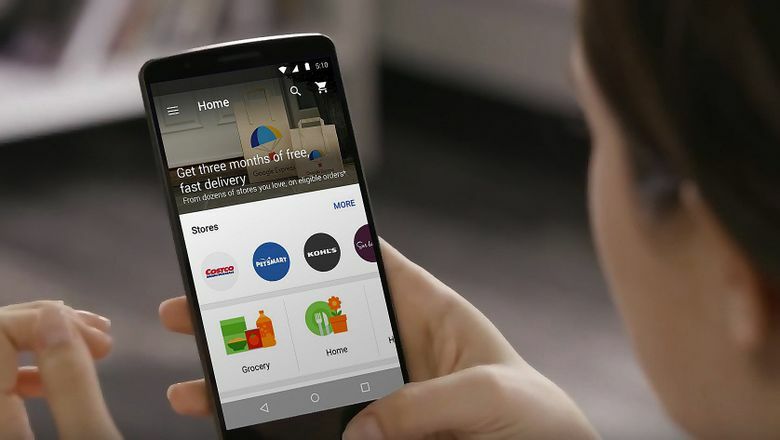 Google Express, as the service is dubbed, allows people to shop from major retailers, including local behemoth Costco Wholesale, through a site operated by the Alphabet unit. The service, which first appeared in the San Francisco Bay Area in 2013, will start in Seattle on Tuesday, part of a major launch that will include markets in the Northwest and Southeast. After the expansion, some 70 million people will have access to the service, Google says. The move highlights how, amid explosive growth in e-commerce’s appeal to shoppers, major retailers and tech companies aren’t willing to concede defeat to dominant player Amazon. The Seattle company has certainly dug a big moat around itself through years of accumulated expertise and vast investments in technology and logistics. But Google has seen an opportunity to partner with established brick-and-mortar names. And Wal-Mart, the world’s largest retailer, recently sank $3 billion into Jet.com, an upstart Amazon rival that it hopes will help it burnish its e-commerce credentials. In Google’s setup, shoppers can either pay at least $5 per order or buy a $95 annual membership, which includes free delivery for certain orders. Depending on the area, orders can be delivered the same day, overnight, or in a couple of days, according to Google’s website. That puts the service at a price point comparable to Amazon’s Prime membership, which carries a $99-per-year price tag. Prime is stocked with extras, though, including a video-streaming service and photo storage. Google seems to be betting that not everyone wants to buy everything from Amazon, often called “The Everything Store.” Google Express lets customers buy from stores they might normally visit in person, and lets those retailers keep their individual brands. In the Northwest service — which includes Washington, Oregon, Idaho and Montana — customers can order from, among others, Whole Foods, PetSmart, Sur La Table and Walgreens. For a while, Google Express aspired to compete with Amazon Fresh, the giant’s grocery delivery service. Express still delivers dry goods from grocery stores but will no longer bring perishable foods. The rollback was part of Google’s plan to expand Express more broadly, general manager Brian Elliott told Business Insider. The company said Tuesday’s launch means it now covers 90 percent of the continental U.S., and it plans to make that 100 percent by the end of the year. Ángel González: 206-464-2250 or agonzalez@seattletimes.com. On Twitter @gonzalezseattle. Rachel Lerman: rlerman@seattletimes.com; on Twitter @rachelerman.